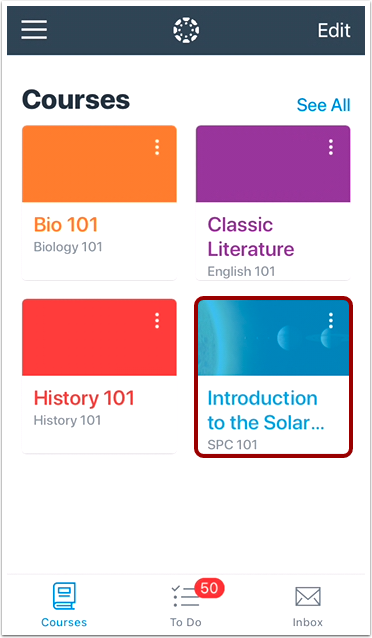 In Canvas Teacher, you can add a new file or folder to your Course Files. Tap the name of the course you'd like to view. View your course files. 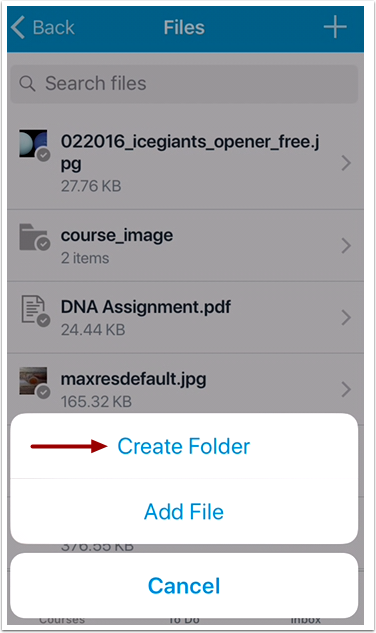 To add a file or folder, tap the Add button. 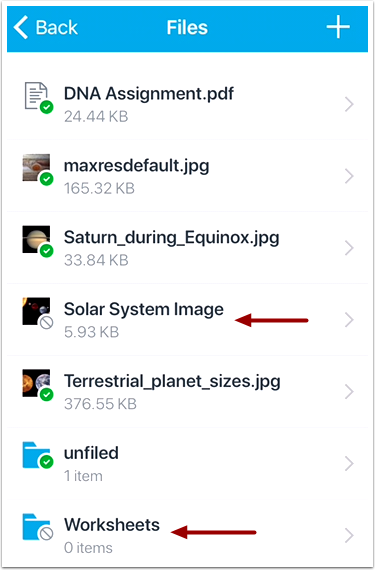 To add a new file, tap the Add File link. 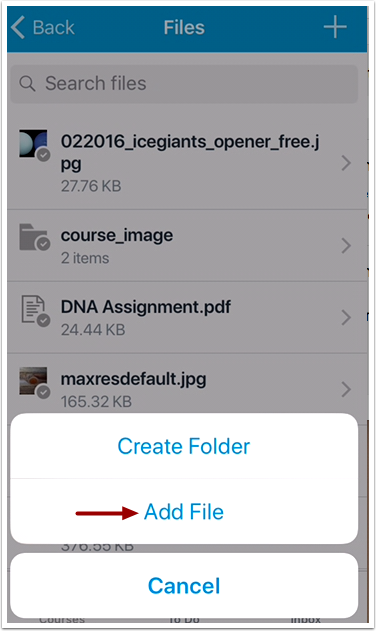 To add a new folder, tap the Create Folder link. 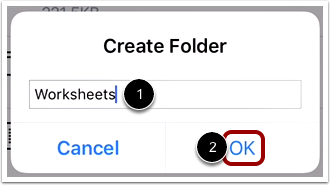 Enter the name of your folder , then tap the OK button . 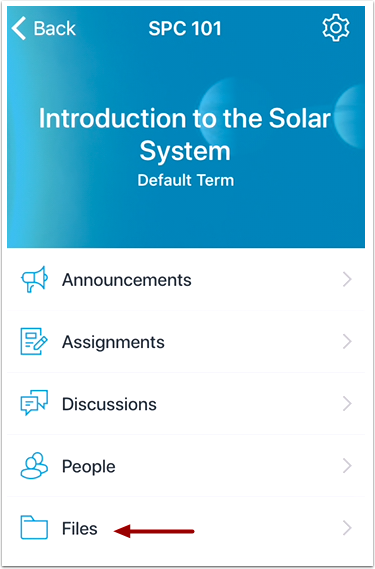 View the items you added to your Course Files. 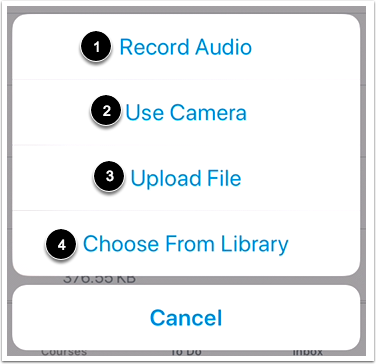 Previous Topic:How do I view Course Files in the Teacher app on my iOS device? Next Topic:How do I view Pages in the Teacher app in my iOS device? 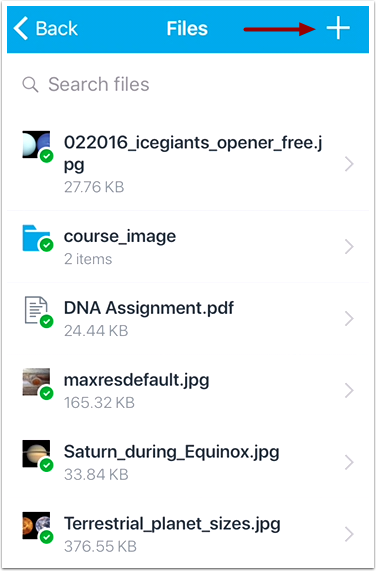 Table of Contents > Courses > How do I add a new file or folder to a course in the Teacher app on my iOS device?